Local and national presenters sharing ideas about enhancing what works in education. The world isn’t what it used to be. Is our approach to education meeting the needs of a diverse student body and keeping pace with a dynamic employment landscape? shift:ED is an opportunity for people involved in all levels of education - from early childhood education to the workplace - to build upon what is working in education and explore new ways to meet the changing needs of a changing world. In the spirit of ideas worth spreading, TED has created a program called TEDx. TEDx is a program of local, self-organized events that bring people together to share a TED-like experience. Our event is called TEDxWenatcheeED, where x = independently organized TED event. At our TEDxWenatcheeED event, TED Talks video and live speakers will combine to spark deep discussion and connection in a small group. The TED Conference provides general guidance for the TEDx program, but individual TEDx events, including ours, are self-organized. ED events give people in educational communities an opportunity to spark discussion on the future of education, and share those ideas with a global community. 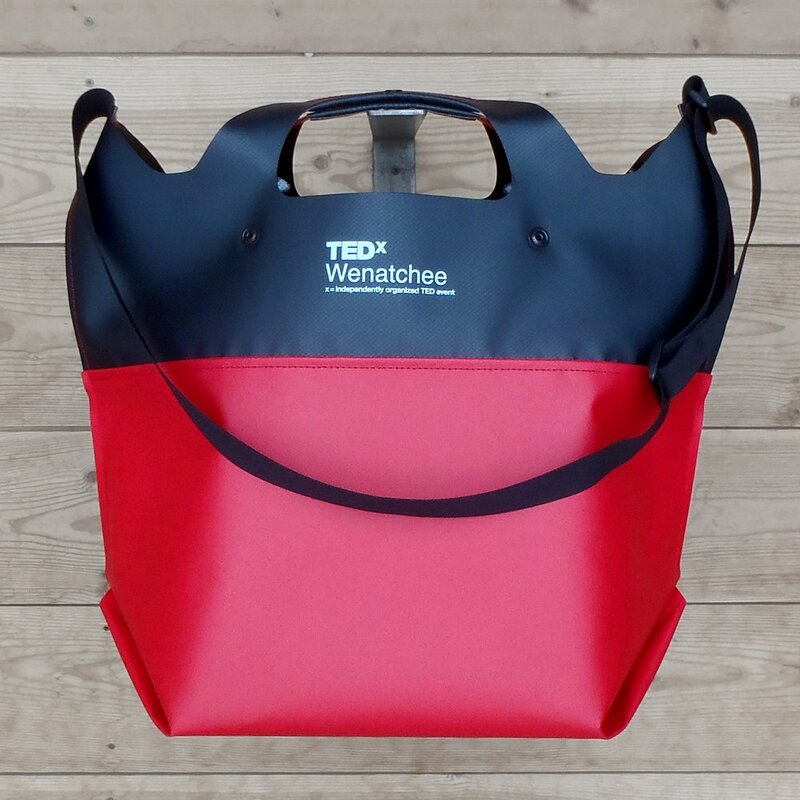 Show your support for ideas worth spreading in our region by purchasing a WA made, lifetime guaranteed TEDxWenatchee eqpd LastBag.